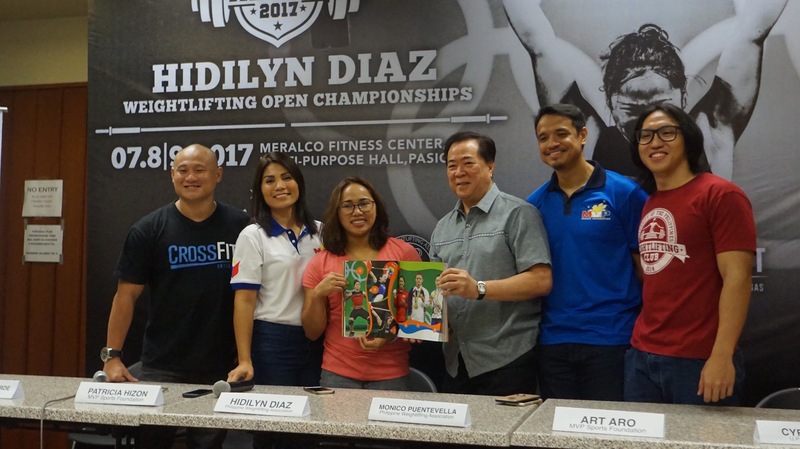 Rio Olympics silver medalist Hidilyn Diaz is on a mission to develop the sport of weightlifting in the country. And she took a big first step towards achieving this goal with the launching of her very own local weightlifting competition. With the help of MVP Sports Foundation, along with the Philippine Weightlifting Association (PWA), UP Weightlifting Club and Crossfit Ortigas, Diaz came up with the Hidilyn Diaz Weightlifting Open Championships (HDWOC), a platform where local athletes and aspiring weightlifters can showcase their skills in an international-like competition. Even before she became an Olympian, Diaz already had a personal goal in mind to promote and inspire others to get into weightlifting. And that movement was further boosted after her silver medal win in the 2016 Summer Olympics in Rio. She came up with this idea to assist the local weightlifting community find athletes who can follow her footsteps and also bring glory to the country. “Sino ang susunod sa yapak ko? Sino ang magiging susunod na Hidilyn Diaz? Kaya naisip ko gumawa ng competition. Alam ko napakahirap pero sa tulong ng MVP Sports Foundation, Philippine Weightlifting Assocation, UP Weightlifting Club, Crossfit Ortigas nagawa ko yung Hidilyn Diaz Weightlifting Open Championships,” Diaz said at a press conference on Thursday. According to PWA president emeritus Monico Puentevella, the competition could serve as the country’s qualifiers for international tournaments, such as the Asian Games and SEA Games, where they can harvest and identify local talents that can potentially represent the country in the international weightlifting scene. The HDWOC, which will take place July 8 and 9 at the Meralco Fitness Center, is open to local athletes and weightlifting enthusiasts aged 11 and above, men and women. It will feature 16 different weight classes, similar to the ones recognized by the International Weightlifting Federation (IWF), and will follow international rules and standards to provide participants an experience and setting similar to tournaments held abroad. MVP Sports Foundation executive director Patricia Bermudez-Hizon said they are more than willing to help Diaz with her advocacy, which is in line with the organization’s vision to develop national sports programs. “We believe in many programs that can bring honor and glory to our country. And we believe weightlifting is one of those we are supporting. And also Hidilyn Diaz, not only because she is a silver medalist. We are supporting her because we have a shared vision na kailangan natin talagang bigyan ng suporta ang ating mga future athletes and give them the opportunity to compete and prove themselves against a certain standard that will be set and at the same time make sure they are going to be supported once they meet or surpass those standards,” said Bermudez-Hizon. The tournament will also help the country get global recognition in the sport of weightlifting. Puentavella, who just came home from a two-day conference with the IWF in Bangkok, revealed they were assured the Philippines will get to host an international weightlifting competition in the next two years. But he stressed the plan to host an event will have to be discussed with the Philippine Sports Commission, Philippine Olympic Committee and President Rodrigo Duterte.